Successfully Added USB Color Changing LED Christmas Tree Ornament to your Shopping Cart. 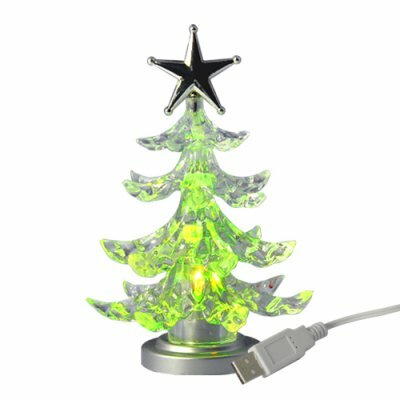 USB Color Changing LED Christmas Tree Ornament - The perfect Christmas gadget is back once again by popular demand! This affordable USB Christmas tree ornament with mult-color LEDs is a fun and inexpensive way to get into the Christmas spirit. Buy a few for the house or give some away and put a smile on someone’s face when they see the colorful LEDs cycle through the many different colors. This attractive Christmas gadget turns on and is powered via an easy plug-and-play USB connection. A simple, inexpensive and guaranteed way to capture the Christmas spirit. Hurry and order now while supplies last and we’ll get it to you before Christmas.